Description - Asian appearance, with black hair, aged in her mid-thirties, of slim build and average height. Circumstances - Jun was last seen in May 1991 by her husband at Kemps Creek, Sydney. Grave fears are held for her safety and welfare. NSW Police are appealing for public assistance for any information concerning the disappearance of Jun Ren, a Chinese National, last seen in 1991. Jun Ren moved to Sydney from China in February 1990. She married in December of that year and lived in Kemps Creek where she ran a small market garden with her husband. Jun Ren was last seen by her husband at Kemps Creek in May 1991 and has failed to make any form of contact with her family or friends, which was completely out of character. 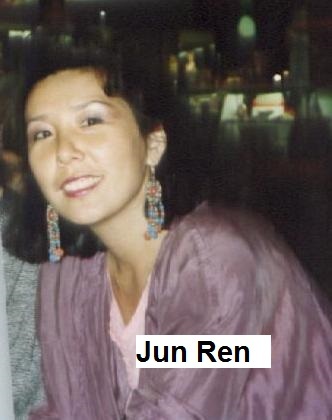 When she was last seen Jun Ren is described as being of Asian appearance, with black hair, aged in her mid-thirties, of slim build and average height. Anyone who knows of Jun’s whereabouts or has information that can assist police is urged to contact Liverpool Police Station on 9821 8444 or Crime Stoppers on 1800 333 000. Police have today been searching a property in Sydney's south-west in the hope of finding evidence relating to the disappearance of a woman in 1991. Jun Ren, a Chinese national, was last seen in Kemps Creek in May 1991 by her husband. She had moved to Sydney from China in February 1990 and married in December of that year. Together with her husband she ran a small market garden which was located in the area police are today searching. About four hectares in size, the property on Herbert Street is relatively flat with extensive vegetation and features a dam and a number of residential houses. Today's search comprises officers from Liverpool Local Area Command as well as the Public Order and Riot Squad, the Dog Unit, police divers from the Marine Area Command and crime scene officers from the Forensic Services Group. Police have not ruled out that they could find Jun Ren's remains and are treating her disappearance as suspicious. Jun Ren has failed to make any form of contact with her family or friends in the past 17 years, which is completely out of character. She is described as being of Asian appearance and, when she was last seen, had black hair, was aged in her mid-30s, was of slim build and average height. Anyone who knows of Jun Ren's whereabouts or has information that can assist police is urged to contact Liverpool Police Station on 9821 8444 or Crime Stoppers on 1800 333 000. The search of the rural property is expected to continue tomorrow. The family of Chinese immigrant Jun Ren, missing for 17 years, believes she was murdered in NSW, police say. Detectives have also revealed that Australian authorities were not told of the woman's disappearance for two years after she vanished in 1991, placing them on the back foot from the start of the investigation. Officers reworking the cold case spent yesterday and Wednesday searching a four-hectare property in Kemps Creek in Sydney's south-west which Mrs Ren rented with her husband following her arrival in Australia in February 1990. The missing woman, who was last seen leaving the semi-rural property on Herbert Street by her husband in May 1991, was finally reported missing by a close female friend who lives in China. "She wasn't reported missing until 1993. Although she went missing in 1991, police weren't privy to that," Detective Senior Sergeant Patrick Keating said. He said certain objects were seized at the property on Wednesday. He would not reveal what the items were or what had led police to search the land after 17 years. "I don't want to jeopardise the investigation," he said. "What I may tell you in regard to the search is that a number of items were found. They could be significant but at this stage we are not prepared to state whether they are or not." He said the case was kick-started again after one of his detectives at Liverpool police, Graham Hibbs, "ran a pair of fresh eyes over it". Detective Senior Constable Hibbs said: "The case was never closed, we have basically started a fresh investigation. We have just reviewed a lot of old statements and fresh information." He said police had this month spoken to Mrs Ren's husband, who no longer lives at the property but is still in NSW. "We have been in contact with [Mrs Ren's] family in China," he said. "They believe that she is deceased and that she met with foul play. We were also able to speak to the person who originally reported her missing, she's in China." Mrs Ren was aged in her mid-30s when she went missing. Anyone with information about her disappearance can call Crime Stoppers on 1800 333 000. Police are again appealing for public help regarding the disappearance of a Chinese National 18 years ago. Jun Ren, then aged 36, moved to Sydney from China in February 1990. She married in December of that year and lived in Kemps Creek where she ran a small market garden with her husband. Ren was last seen at Kemps Creek in May 1991 and has failed to make any form of contact with her family or friends since that time. She was not reported missing until 1993. Investigators formed Strike Force Bavin in December 2007 to investigate the disappearance and hold grave fears for her welfare. In May last year, police searched the Kemps Creek property with the assistance of the Dog Squad and police divers. They have also interviewed a number of new witnesses in relation to the disappearance but are still seeking further information about her whereabouts. Investigators are keen to speak with a number of Chinese students who are believed to have worked on the Kemps Creek property. Jun Ren is described as being of Asian appearance, with black hair, of slim build and average height. She would now be aged 58. THIS is the man police fear has got away with murder. When 36-year-old Jun Ren went missing from her Kemps Creek home in May 1991, her husband, Bi Kui, told her friend she had "gone overseas with a rich man". But when Helen Liu insisted he report his wife as missing to the police, he allegedly raped her, telling Ms Liu Australian police were "stupid" and that ''in a big country like this killing a few people is easy'', an inquest into Ms Ren's death heard yesterday. The inquest was told that police believe Mr Kui, now 55, either killed Ms Ren himself or has intimate knowledge of how she died. But because her body has never been found, the Deputy State Coroner, Carl Milovanovich, was unable to make a finding into the cause or manner of Ms Ren's death or refer the case to the state's unsolved homicide team. "The circumstances of the relationship of the deceased with her husband at the time and the circumstances in which she disappeared certainly makes the circumstances suspicious but without a body I cannot say definitely," he concluded. The officer in charge of the investigation, Detective Senior Constable Graham Hibbs, told the inquest: "It is my belief that Jun Ren … was murdered by Bi Kui or persons known to Bi Kui some time in May 1991." The court had heard that Ms Ren had had an abortion in the weeks leading up to her disappearance, telling a male friend she "hated" her husband and did not want to have his child. She had also attempted to leave Mr Kui, and stayed at Ms Liu's house for two days. But Mr Kui collected his wife and she was not seen again. Ms Ren was reported missing two years after her disappearance when Ms Liu discovered that Mr Kui had never told police, the court heard. Police intelligence alleges that Mr Kui is involved in Asian organised crime, the inquest heard. It heard Ms Ren had told friends that before he moved to Sydney, her husband had defrauded $US100,000from a Chinese company. When the Herald visited Mr Kui at the restaurant he owns in Ashfield, a man who translated the conversation said Mr Kui ''could not remember much at all'' about that period in his life.